Premium quality original equipment HPI power steering pumps. The list above is the ‘3rd Generation power steering pumps that are available from KPS. KPS Automotive has an extended range of ‘4th Generation power steering pumps‘ from HPI to include Peugeot 3008, 5008, 508, Partner, Citroen C4/DS4, C4 Picasso/DS5, Renault Espace, Dacia Logan/Lodgy/Monospace, Logan II, Duster II, Dodge Durango, Charger, Challenger, Chrysler 300c, Jeep Grand Cherokee, Lancia Thema. All of the EHPS pumps supplied by KPS are ‘plug and play’ on the car and have been programmed in the HPI factory with the OE software . As soon as the pump is fitted to the car any fault codes that may be present are automatically cleared and the power steering will work as normal. KPS Automotive Parts holds large stocks of each reference which ensures next day supply nationwide giving our customers the best possible service. This latest range of HPI power steering pumps (along with the rest of our power steering products) is available from ‘National Distributors’ – Allparts, ATP-Group, BBC, BMG, BMS, Bromsgrove Motor Factors (BMF), Car Parts Accessories (CPA), CES, Dingbro, Discount Car Spares, Euro Car Parts, FPS, General Traffic, GMF, Mill Autoquip, Parkers, SAS Autoparts, SC Motors, SDL Minorfern, SES Autoparts, Spartan Motor Factors and specialist companies. Fitting instructions are also provided with each pump we supply. Catalogues for our complete steering range are available by calling us on 01582 723490. Call 01582 723490 or ‘contact us’ for details of the full range available. 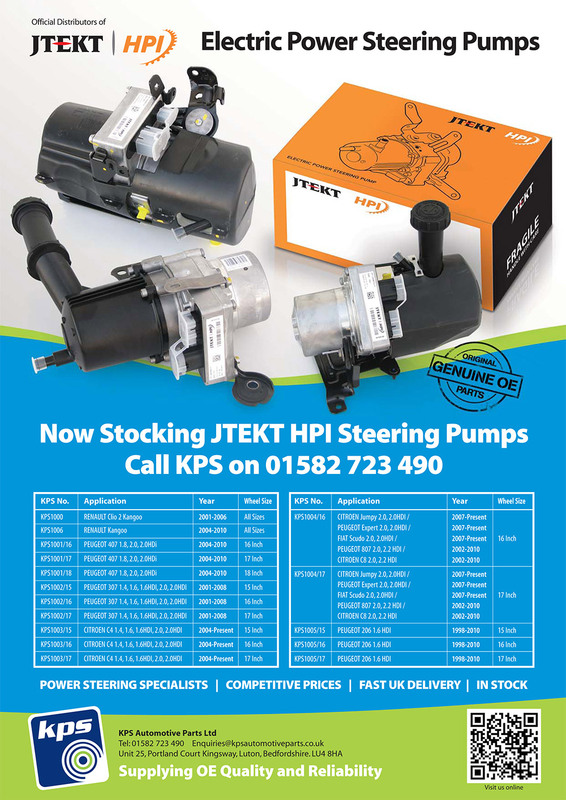 You can also visit our ‘Power Steering Pumps’ page for more information on our JTEKT HPI power steering product range together with other brands such as ZF TRW which are also available.